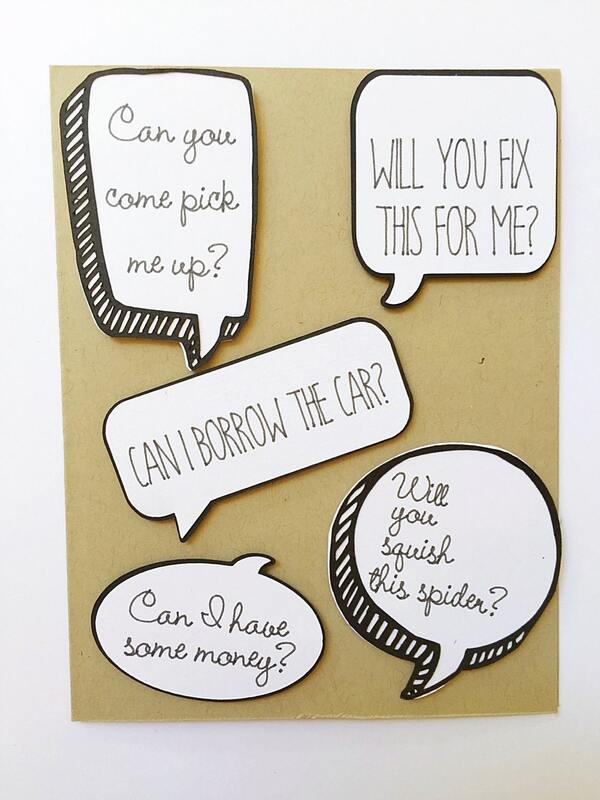 Do you ask for your dependable dad's help once in a while or all the time? Or do you have an awesome husband who does all kinds of stuff for the kids? 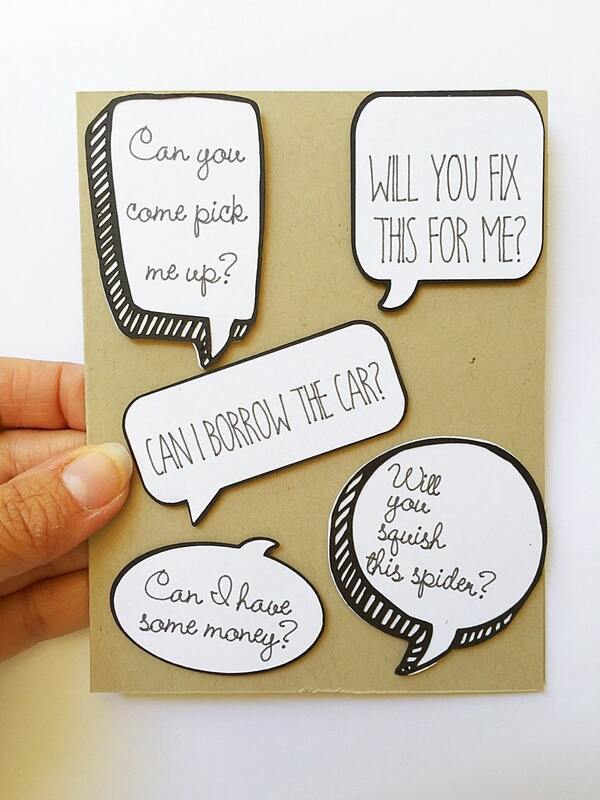 Then, this funny birthday card is perfect for you to give him. 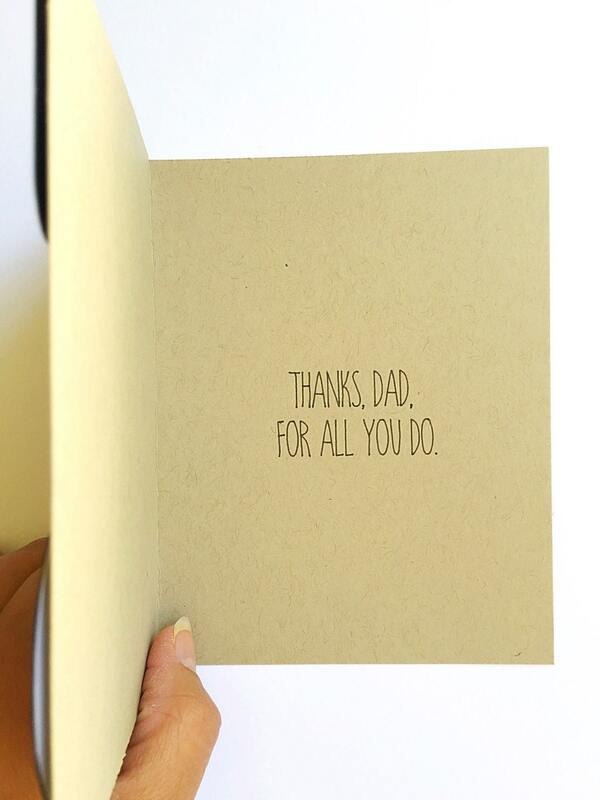 Absolutely hilarious speech bubble card that every kid has said to their dad. 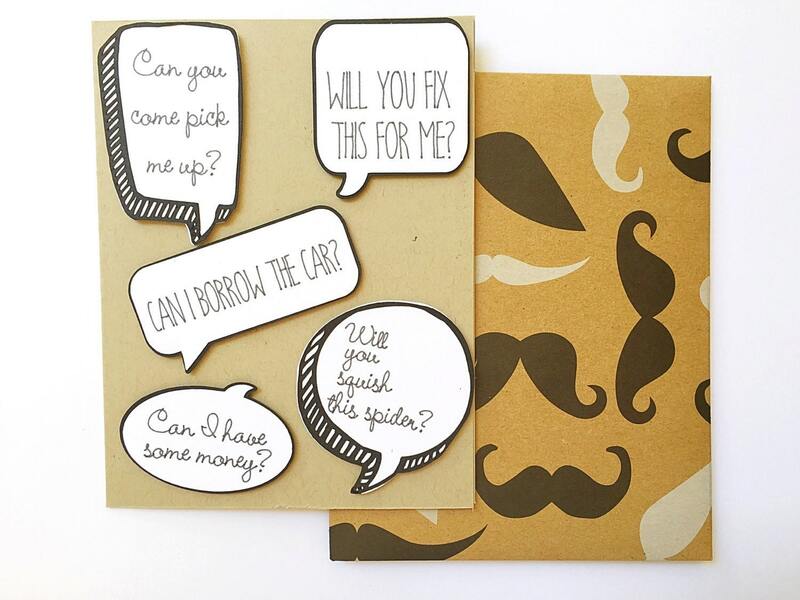 Say how much you love your dad or husband with this special birthday card for dad. "Better than pictured! Clever, high-quality design. Sweet seller. Thank you!!" 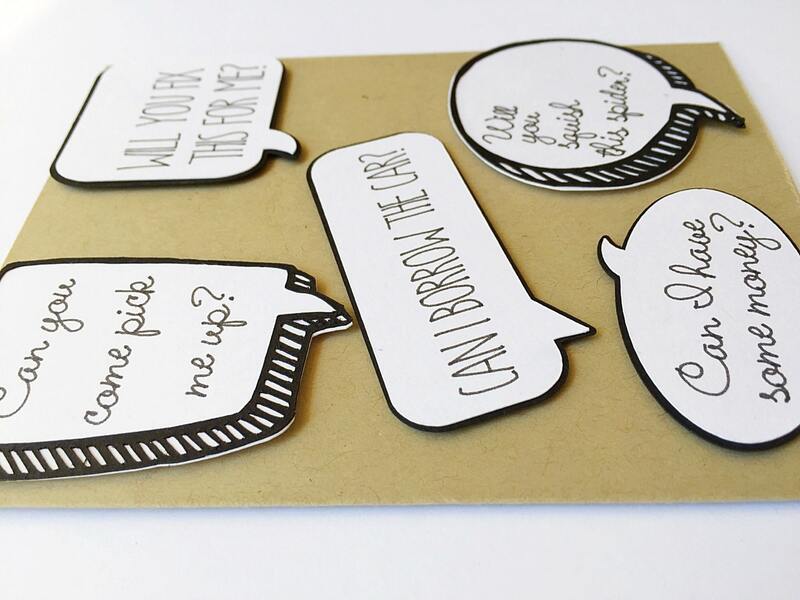 ✽ All my cards are 100% handmade, designed, hand stamped, hand assembled and hand colored by me. Better than pictured! Clever, high-quality design. Sweet seller. Thank you! !